WOW! 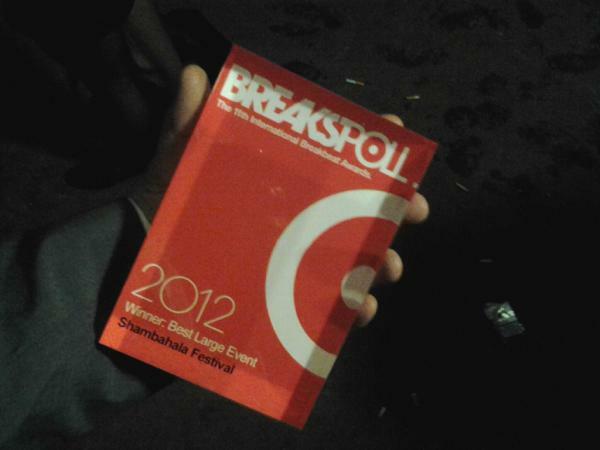 It’s truly amazing to have been voted Best Large Event at the Breakspoll International Breakbeat awards for the 2nd year in a row! We’re really feelin’ the Shambhalove, Farmily! And thanks to all our past artists, fans, neighbours and Int’l & local communities for showing us so much support in social media land! Huge congrats to our friends & affilates who also won awards! ‘Specially our friends over at ghettofunk.co.uk who took home Best Label! We’re looking forward to another great year. 2012 is gonna be HUGE! This entry was posted in Awards, Posts by Britz and tagged Awards, Best Large Event, Breakspoll, Congratulations, electronic music industry, Farmily, Festival, Ghetto Funk, Gratitude, Inspiring, International Breakbeat Awards, Love, Music, Shambhalove, Thanks, Twitter, Winner. Bookmark the permalink. 2 Responses to Breakspoll Thanks~!